Negative thoughts are a part of living – we all tend to have them. However, if we entertain them, they undermine our self-belief and self-confidence. They can be persistent and destructive. Jon Kabat-Zinn reminds us, “We are not our thoughts”. Our minds make up negative stories all the time and we come to believe that these stories identify who we are – they are just fabrications, not reality. One of the key contributions of The Happiness Trap Pocketbook by Russ Harris and Bev Aisbett is the range of defusion strategies they offer to disarm negative thinking and reduce its hold and power over us. This defusion strategy can be used for any unhelpful thought at any time, no matter where you are. You can progressively learn to dissociate yourself from negative thoughts and recognise that they do not represent who you are. You are better than your negative thoughts which tend to put you in the worst possible light. Such thoughts result from the brain’s bias towards the negative as a self-preservation mechanism. 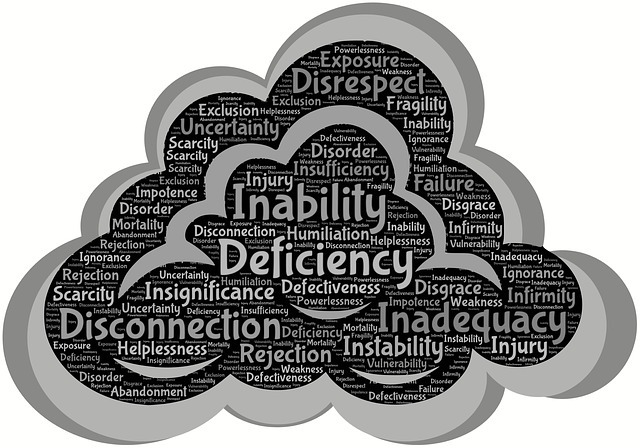 As you grow in mindfulness through regular mindful practice you will become more aware of these negative thoughts and have the presence of mind to use the suggested defusion strategy. You will become increasingly conscious of the hold these thoughts have on you and how they impact negatively on your self-confidence and willingness to extend yourself and take on new challenges. Negative thoughts hold us back, diminish our sense of accomplishment and reduce our effectiveness and capacity to make a difference in our own lives and that of others. The suggested defusion strategy is your weapon against this erosion of who you are.